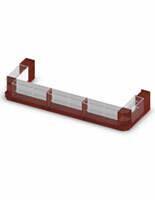 This cash wrap counter is an ideal way to showcase your merchandise. 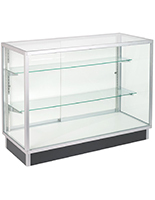 With full vision display cases and retail displays like these cash wrap counters, you'll have plenty of room to display all of your products. 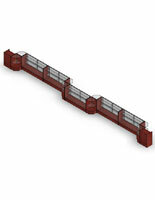 This cash wrap configuration consists of two 24" check out counters, four 48" store counters, two 60" cash wrap counters, two 72" retail counters, and six corner units. 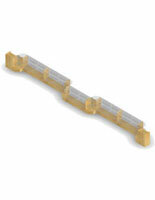 Whether you're displaying jewelry, collectibles, or cosmetics, this cash wrap counter will display them all in style. Don't let your retail displays go unnoticed. 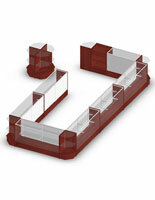 With display cases like these cash wrap counters, you can attract customer attention to your store displays. Showcase specialty items like designer purses, a new perfume, or even expensive watches. The combination of a cherry melamine, brushed aluminum frame, and tempered glass panels bring a touch of class to any retail store. 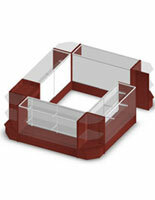 This cherry melamine cash wrap makes outfitting your store extremely affordable. 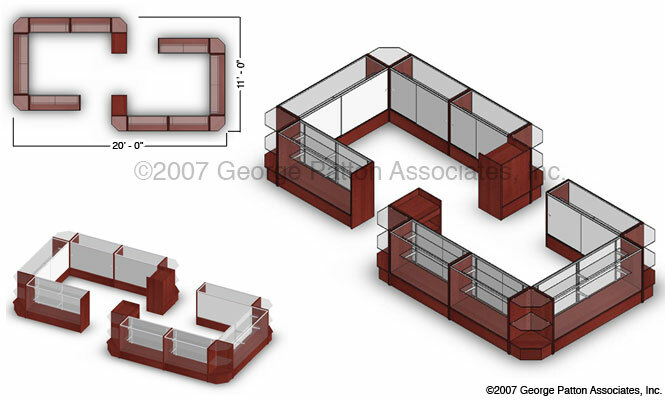 No longer do you have to break your budget just to create attention-grabbing retail displays. 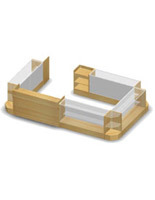 This cash wrap counter is ideal for displaying collectibles, jewelry and more. With melamine panels, this cash wrap is sure lure customers in to peruse your displayed items. 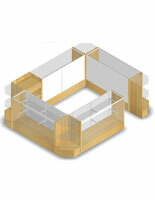 You can also utilize counter space by displaying even more items on top of the display showcases.